Good print estimating software is critical to the efficient and profitable operation of print shops and sign companies that produce a rising volume of fast-turnaround jobs each week. But having great print estimating software can’t help you be more profitable if your estimates aren’t based on accurate cost information. This is particularly true for large-format printing, where mistakes and reprints can be costly. Here are five types of costs that affect the accuracy of print estimating. Material Costs: Calculate the costs of ink and material that will be consumed during printing. On large-format jobs, the ink usage will vary depending on whether the job will be printed in the best quality mode (for close-up viewing) or a faster production-speed mode (for prints that will be viewed from a distance). If a lot of wide-format media will be trimmed away from the print, your estimate should cover the cost of the wasted media. Don’t forget to factor in finishing costs such as laminating, clearcoating, hemming, die-cutting, or grommeting. Labor Costs: How much time will your employees spend on each phase of the job? Will employees have to spend a lot of time tweaking the files so they can be output on a large-format printer? Will employees have to spend a lot of time getting approvals from different people involved with the project? Are you likely to incur overtime charges in order to finish the job complete the job before the delivery deadline? Overhead Costs: These costs aren’t directly related to a specific job. But to be profitable, your annual revenues should be enough to cover ongoing expenses such as utilities, insurance, legal fees, salaried employees, and facility and equipment maintenance. To determine your company’s ratio of overhead costs to sales, divide your monthly overhead costs by monthly sales.That number represents the percentage of revenues that must be allocated for overhead costs, If the number of 15 percent, your estimate should include an additional 15 percent to cover your overhead costs. Outsourced Costs: What elements of the job will you have to outsource? If so, how much will you spend to outsource these elements? Once a year, review what types of work you are routinely outsourcing and determine if it would be more cost-effective to perform the work in-house. Unexpected Costs: What types of events could cause your costs to rise? For example, have you considered how you would deal with equipment breakdowns, delays in sign permits, improperly installed vehicle wraps, or the need to reprint a big job at the last minute? The markup you add to your final estimate should be big enough to cover the costs of unexpected problems. 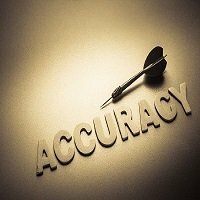 One way to improve the accuracy of your estimates is to routinely compare the actual costs of the completed job to the estimated costs. This is a great way to identify areas of your operations that need improvement. If a specific job took significantly longer to complete than estimated, find out why. Was that particular job simply an anomaly? Or have you been incorrectly estimating how long the job actually takes? Did the equipment malfunction? Was the job set up and run by an inexperienced employee? Did it require reprints because of an improperly prepared file? Did the client change the scope of the project or request last-minute changes? Have your employees been accurately recording their time in the software? Some software enables your employees to keep notes on each job as it moves through the shop. One of the most challenges aspects of print estimating is keeping the costs updated. When you get price hikes from your ink and media suppliers, it’s relatively easy to add those into your cost structure. But increases in overhead costs are often overlooked when it’s time to update the numbers in your print estimating software. You should also be mindful of the rates your competitors charge for similar work. If you are routinely underbid, try to find out why. Are your competitors using equipment or automation that enables them to produce jobs at lower costs? Are they outputting jobs on cheaper grades of materials? What steps can you take to reduce your overall costs and improve efficiency? Can you reduce the amount of material or ink that is used on each job? Can you start using innovative materials that enable you to finish the job faster or with fewer processing steps? Running a printing business can be very challenging. But just like you build workflow processes to ensure color accuracy and consistency in your printing, you need to set up workflows to ensure ongoing accuracy in your pricing. At Ordant Software, we believe print estimating can be improved if the software is simple enough for every employee to use and easy for you to customize as your business evolves.